As I was doing research on what drink to feature in this week's Stir It Up cocktail, I found this link/article regarding the 12 astrology cocktails from Girly-Drinks.com. Because I believe our astrological signs have a great part in who we are, I thought I would share the "official Pisces cocktail," which is the Deconstructed Mojito (according to mixologist Claire Smith). How they came up with what drinks go with which sign, I have no clue, but I found it fun nevertheless. n a pitcher, combine the first 3 ingredients. Shake/stir well. Evenly pour beverage into 4 shot glasses, about 2/3 of the way full. Top each with a splash of club soda. 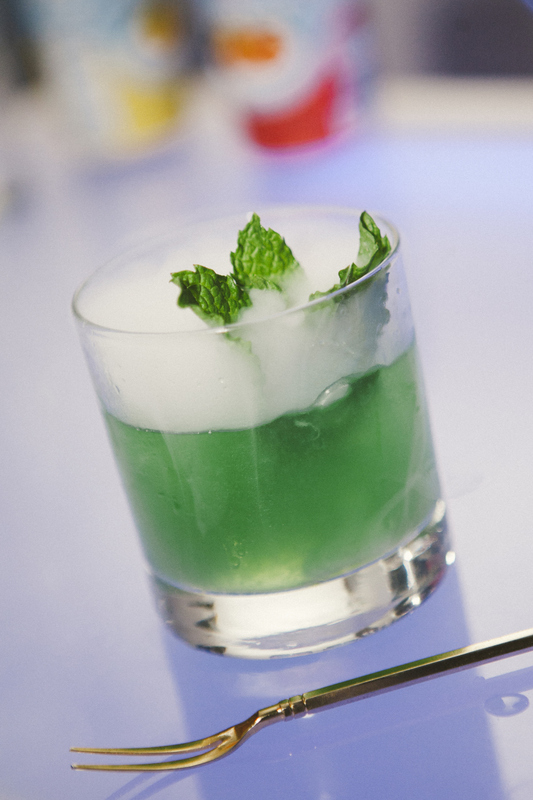 Separately, fill four cocktail glasses each with a small handful of cotton candy and a fresh mint leaf. For each guest, serve one shot glass and one cocktail glass side by side, instructing them to pour the shot over top of the cotton candy (in the cocktail glass). The sugar from the candy melts into the drink, sweetening your mojito from the outside in.